Pat is a trusted liaison expert across the health care spectrum, with her experience spanning nearly every aspect of the patient experience. Her transformational work helps ensure the sustainability of health systems, clinic networks, and individual practice groups. Whether designing and operationalizing interdepartmental processes or innovating management practices, Pat’s is an expert who advises health care leaders regarding data-driven operational and workflow solutions. Pat earns trust and credibility due to her practical experience devising and implementing innovative administrative practices, ranging from billing and accounts receivable management, reimbursement analysis, physician relations, and front office practice management. She also excels at provider relations with proven experience in a variety of specialty practices, including OB/GYN, high risk perinatal diagnostics, neuroscience, radiology, pathology, complementary medicine, and transplant surgery. 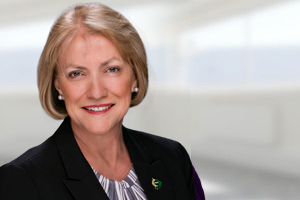 Most recently, Pat served as associate director, client services at Sutter Physician Services. She played a pivotal role across a variety of care settings, including hospital-based clinic practices (two of which hold Rural Health designations) and joint venture ambulatory surgery centers, with her scope including readmission management and transition-of-care programs. Pat earned her certification from the American College of Medical Practice Executives (FACMPE), as a Certified Medical Practice Executive in 2011 and again as a Fellow in 2012.